The holiday season is quickly approaching and with it comes much joy for all consumers involved. However, the under-reported side of the holiday season is the number of mistakes that consumers make when deciding to make purchases for their friends, family, or other associates. Thankfully, there are simple ways to ensure that consumers are in the best position to avoid financial pitfalls during the holiday season. Differentiate Between "Savings" and "Superfluous Expenses"
While shopping days like Black Friday may present opportunities for low prices on particular products, the consumer typically ends up making purchases that they would not ordinarily make in the name of getting a "good deal". Many consumers make the mistake of viewing these unplanned purchases, often provoked by retail marketing, as an actual savings rather than as additional expenses. This can lead to severe, overwhelming debt. The thinking is that if an item is purchased at a discount of 50%, for example, then a 50% savings has been achieved. However, if that item was never intended to be purchased in the first place and falls outside of the consumer's designated budget, then it actually represents excessive cash spent, thus, resulting in a loss for the consumer. With the fervor surrounding the holiday season, it's easy for people to get caught up in the consumerism hype and, consequently, lose financial discipline. In fact, It's not uncommon for Americans to rack up over $1,000 in credit card debt during this period of time. One of the easiest ways to avoid being stuck with holiday season debt is for the consumer to go out of their way to pay their cards on the same day that the purchases are made. There's strong evidence to support the notion that people spend more freely with credit cards than they do with cash. By making a concerted effort to pay off the credit purchases at the end of each shopping day throughout the holiday season, the consumer is incentivized to be more judicious with their purchases and will be in a much better position to maintain their levels of financial health. Now more than ever, it's imperative for consumers to be mindful of their electronic data security. 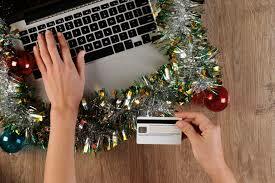 Many purchases are made online during the holiday season, especially on days like Cyber Monday. This represents a tremendous opportunity for cyber-criminals who are looking to capitalize on this increased electronic traffic, so it's up to consumers to make sure that they're taking as many steps as possible to avoid being a victim. The easiest step that each individual can take is to avoid making purchases over open Wi-Fi networks. Open Wi-Fi networks are a favorite of cyber-criminals who often fool users into thinking that they're primarily communicating with the network. As a result, a consumer's personal information, credit card information, passwords, and surfing history can be compromised and make for a potentially turbulent holiday season. While there's still an ever-increasing risk of credit card information being compromised for offline purchases in stores during the holiday season, consumers who maintain keen awareness of their internet connections while making purchases will be taking a major step towards mitigating their exposure. To take action against your overwhelming debt, schedule a free consultation with one of our attorneys.